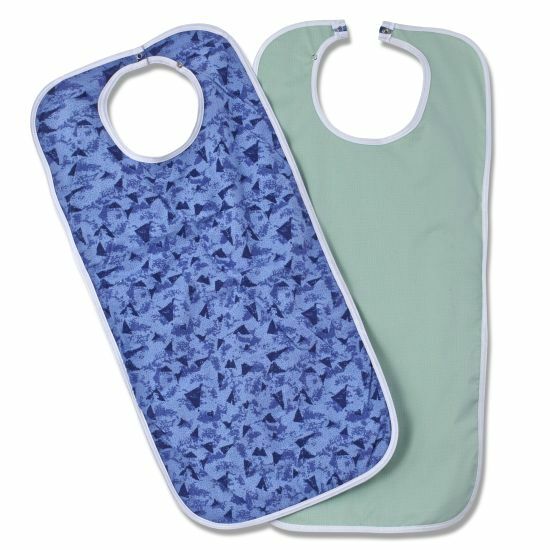 This colorful flannelette bib is very absorbent with a soft knit barrier. The barrier provides further protection due to accidental mishaps while eating or drinking. With adjustable chrome-plated brass snaps to accommodate all our resident’s needs.